While Byron can attest to the fact that I’m not really the ideal head-type for a cycling cap worn as an accessory, I do love caps while riding. Occasionally a Facebook ad will give me a link to something cycling related that I actually like and that was the case with Rothera Cycling, a manufacturer of cycling caps for all seasons. There are some three-panel hats here I adore like the Lanterne Rouge and Gentlemen’s Pink and the camo caps really crack me up. Personally though I think I’m going to end up with the Winter Black and Pink cap, as I find it hard to get a good winter hat that’s both stylish and long enough to cover my ears. This one is lined with PolarTec fleece inside and in the ear flaps. 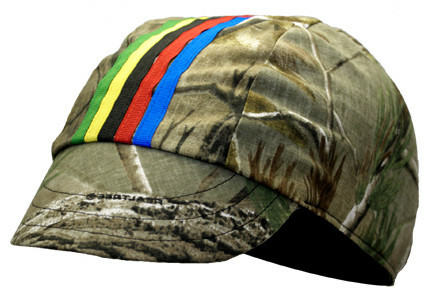 For the Summer, it’s our own thin nylon cap I wear, even if it makes me look like a pinhead.